Order in the next 3 hours, 14 minutes an 56 seconds for same day shipping. 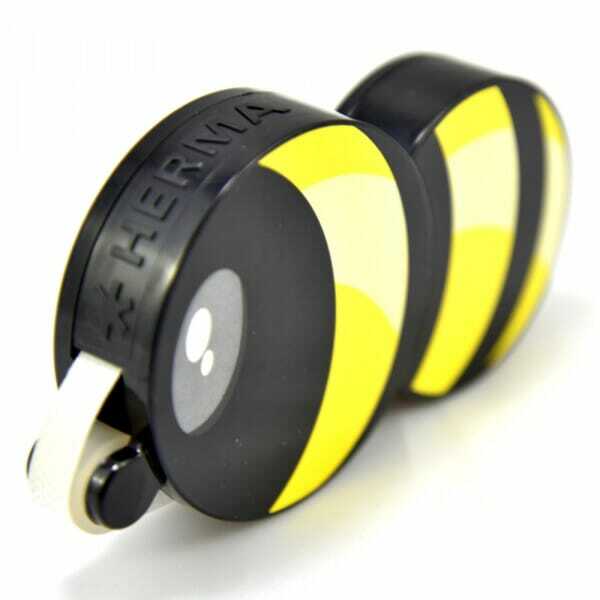 This glue dispenser from Herma shaped like a bee is an ideal quirky tool for anyone doing arts & craft projects, whether it is at home or at school. With this glue dispenser, the whole family can get involved in many different arts & craft projects, from gluing photos into albums and scrapbooks to making Christmas decorations. It is lightweight and easy to use for anyone as the slim glue line allows a neat application around edges. The inside tape is 15m long and the glue is free from acid and solvents. Customer evaluation for "Bee Glue Dispenser"